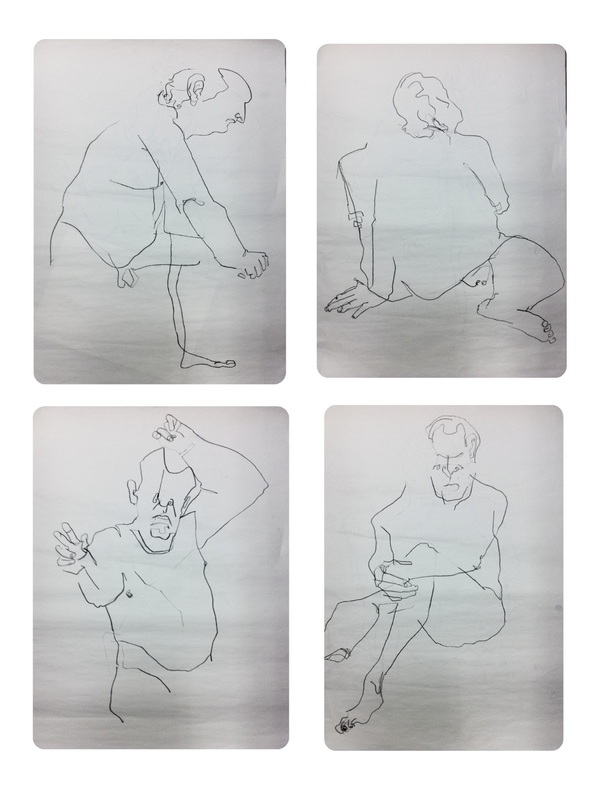 Back to life drawing after a good few weeks. 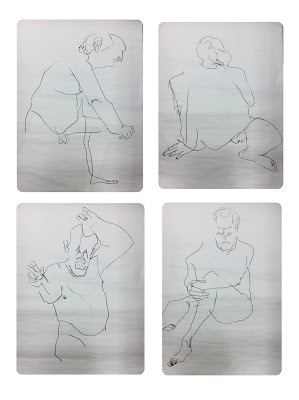 This time we took a different approach to what we were doing and drew blind (looking only at the figure, not at the page and trusting yourself to do the rest) . The first one I found myself cheating quite alot and looking down to the page but these four I stayed from looking at my page so I popped thme up cause I think the finished pieces are kinda interesting. I learnt alot about my approach to drawing and how I observe...really enjoyed the class. Posted by Gillian Comerford at 3:46 p.m.